Banff & Buchan MSP Stewart Stevenson has welcomed the latest publication of NHS workforce statistics that show the number of NHS Grampian dentists has increased by 8.6% in the last year. In March 2008 there were 232 General Dental Service dentists working for the health board, but this has increased to 252 as of March 2009. “Dentistry in Banff & Buchan and the wider region has suffered incredibly thanks to many years of neglect under previous administrations. Although there is clearly still much to do before things fully recover, I am delighted that things are continuing to move in the correct direction under the SNP Government. “The SNP promised to address the problems in dentistry in Banff & Buchan before the election and this latest increase in the number of dentists shows that this is happening. The new dental school at Aberdeen University has seen its first students start their courses and their state of the art £21 million building at Foresterhill is due to open soon. “Real and significant improvements have been made since 2007 and I am confident these will continue until we have a level of access to NHS dentists in Banff & Buchan that we can at last be proud of. The appalling situation that North East dentistry was in a few years ago was a national disgrace and I am sure that people in the area will share my relief that this Scottish Government is continuing to take action to address the problem”. Ambitious plans to widen the use of electric vehicles were unveiled by Stewart Stevenson today. The consultation seeks to identify what building blocks are required to achieve widespread adoption of low carbon vehicles across Scotland. “Government must back up its world leading climate change targets with action and this consultation does just that. Emissions from transport have been increasing in recent years and a major uptake of low carbon vehicle technologies is required to reverse this trend. “We all have a role to play in tackling climate change but the public sector must be seen to set the standard. This 2020 target will not only ensure that the public sector is stepping up to the plate on its transport emissions but also help create a market that can drive further development of low carbon technology. The process of identifying the contractor who will build the landmark Forth Replacement Crossing is now under way. The contract notice has been submitted for publication by Transport Scotland, the Scottish Government agency in charge of the scheme. The news that the single biggest transport infrastructure project in Scotland for a generation, which is due to open to traffic in 2016, is now ready to go to the marketplace will be another boost to the hard-pressed construction industry. The £1.7bn - £2.3bn project forms the biggest single element of a huge programme of investment by the Scottish Government in Scotland’s road and rail networks which will promote both sustainable economic growth in the future and support hundreds of construction jobs over the next decade. "I am delighted that the Forth Replacement Crossing project continues to make progress towards delivery as demanded by the people of Scotland. The need to protect and improve the capacity for cross-Forth travel is beyond doubt and the Scottish Government is absolutely clear that sustainable economic growth must be promoted in these difficult financial times. "We have also been clear that the Forth Replacement Crossing will be funded directly by the Scottish Government from existing capital budgets. Against the backdrop of the global economic downturn, we are driving forward the largest transport investment programme Scotland has ever seen with a number of vital projects, of which the FRC is the biggest. "I am looking to the construction industry to be enthusiastic about the chance to bid to build a project which is not only vital for the economy and communities of Scotland but also one which will join the existing two iconic Forth bridges as part of an internationally recognised landmark." The contract is expected to be priced between £900m and £1.2bn and includes detailed design and construction of the main crossing and road connections. It is anticipated that the tender documents will be issued to the selected bidders by the end of 2009 and the contract awarded in spring 2011. The start of the procurement process follows an Industry Day held in Edinburgh in March, where world class contractors from the UK and abroad attended to discuss and give feedback on the scheme. This dialogue has been crucial in shaping Transport Scotland’s procurement strategy for the project. The Scottish Government will seek approval for the project through a Parliamentary Bill, which is expected to be introduced to Parliament at the end of this year. National infrastructure projects, including a high speed rail link to London, have been identified in the Scottish Government's National Planning Framework 2 (NPF), published today. Infrastructure Minister Stewart Stevenson said the document outlined a vision for Scotland's development to 2030. It includes a list of 14 national developments with the potential to support economic recovery and increase sustainable economic growth well into the future. "The purpose of the NPF is to identify clear priorities for the development of Scotland's national infrastructure, including transport and renewable energy. It is on top of our massive 3.5 billion pounds annual infrastructure investment programme, which is providing a host of modern facilities and many other infrastructure projects fit for 21st century Scotland. "We have responded positively to the views of parliament and included two additional national developments, the High Speed Rail Link to London and Central Scotland Green Network which have strengthened the role of the NPF2 in supporting economic recovery, reducing carbon emissions and increasing sustainable economic growth well into the future - key priorities of the Scottish Government. "It contributes to our efforts to create a joined-up planning and development regime which aids efforts to increase sustainable economic growth, building on the commitment in our economic recovery programme to ensure all government activity, including planning, supports economic development. "The NPF has been subject to a wide-ranging consultation and subsequent period of parliamentary scrutiny. We now have a set of national developments that will create opportunities for all of Scotland to flourish, while helping to position our economy for a stronger recovery." The Scottish Government's world leading legislation to tackle climate change was passed by Parliament today. The Scottish Climate Change Bill sets a target of reducing emissions by 80 per cent by 2050, including emissions from international aviation and shipping. It also sets an interim target for a 42 per cent cut in emissions by 2020. "Scotland can be proud of this Bill, the most ambitious and comprehensive piece of climate change legislation anywhere in the world. As a country we are leading global action and expect others to follow our lead as we look to the international summit in Copenhagen this December. "Setting targets is not an end in itself, it is delivery that matters. In our Delivery Plan published last week we set out a vision of how we will achieve our targets, demanding action now and in the future. "While climate change is a threat, it should also be seen as a real opportunity. Harnessing the energy related opportunities presented by Scotland's natural capital can create tens of thousands of jobs and help us emerge from the current global economic downturn on the back of a strong green economic revival. Governor of California Arnold Schwarzenegger also gave his backing to the Bill. "Climate change is a global problem that requires a global solution. California has set aggressive greenhouse gas reduction targets, but we need the help of the world to tackle the most pressing environmental issue of our time. Climate Change Minister Stewart Stevenson has lodged an amendment to the Climate Change Bill that will set the interim target for Greenhouse Gas emissions at 42%. The amendment reinforces the Bill's commitment to reduce Greenhouse Gas Emissions by 42% subject to international agreement that is already part of the Bill. In its December 2008 report “Building a Low Carbon Economy – the UK’s Contribution to Tackling Climate Change” the UK Committee on Climate Change advised that the appropriate targets for reducing greenhouse emissions for the UK should be a 34% reduction by 2020 relative to 1990 levels, and 42% once a global deal to reduce emissions is achieved. The Committee also identified the indicative potential Scotland holds to contribute to these UK targets. The Committee’s independent advice, combined with additional analysis by the Scottish Government, formed the basis for the Government’s Climate Change Delivery Plan (published Wednesday 16 June). This Plan sets out what is needed if Scotland is to achieve its ambitious emission reduction targets. A robust evidence base – derived from expert, independent advice – is available to support both the 34% and 42% targets, with a clear trigger – the EU moving to a 30% target - identified for moving to the 42% target. No corresponding evidence base – or Delivery Plan – is available to support any intermediate figure between 34% and 42%. In light of this the Government considers it important to amend the Bill to retain the combination of targets based on expert advice and a well considered Delivery Plan. In support of the amendment, Stewart Stevenson commented “The Scottish Government has already committed to meeting the target of 42% reduction in greenhouse gas emissions by 2020 based on the EU responding to an international agreement being reached in Copenhagen in December. This amendment reinforces our commitment to world-leading Scottish climate change legislation based on expert advice. “Climate change is one of the biggest challenges facing Governments across the world and will have far reaching consequences for us all. Targets must be based on expert advice, the Scottish Government has sought to follow that advice as the Bill has progressed, and as has been recognised, our proposals are more ambitious than the UK Bill. Latest provisional road accident statistics for Scotland show a 3% decrease in road fatalities in 2008, Transport Minister Stewart Stevenson has announced. It is the second successive year there has been a fall in Scotland, with road fatalities now at their lowest level for more than 50 years. However, Mr Stevenson warned against complacency and said that the number of child fatalities remained a particular concern. The statistics come a week after the Scottish Government published a new 10 year road safety framework which sets out a series of wide-ranging proposals to cut the number of road deaths in Scotland and tough new casualty reduction targets – the most ambitious in the UK. “With less people being injured and less people dying on Scotland’s roads in 2008, these latest statistics are to be welcomed. “But behind every statistic there is a family, and behind every number, a tragic story. “It is absolutely intolerable that people are still dying on our roads each day, and the number of children being involved in road accidents remains a particular concern. The loss of a life, no matter what the age, is a tragedy for any family, but I can’t begin to imagine the heartache felt by the loss of a child. “Scotland has made good progress in reducing fatalities on our roads, exceeding the current GB targets, but we are determined to do all we can to reduce road accidents even further. “That is why last week, we announced a new 10 year road framework for Scotland together with wide-ranging proposals to cut the number of deaths on our roads. “This included a real emphasis on initiatives targeting young people and a ‘lifelong’ learning approach to road safety education from the age of 3 all the way through to when people hang up the keys to their cars for the final time. “From education, to piloting new technology, to taking action on school buses, and setting the toughest road casualty reduction targets in the UK, we’ve got an ambitious new framework which will save even more lives over the next 10 years and beyond. “However, we cannot and will not be complacent. Unfortunately, the cost of complacency is often the loss of lives. We will continue to look at new ways of getting road safety messages to people, both young and old, right across the country. Mr Stewart Stevenson, Minister for Transport, Infrastructure & Climate Change, met youngsters from the 18th Inverness Muirtown Sea Scouts, Inverness Sea Cadets and Caledonian Canal Ceilidh Trail band at Muirtown Basin on Saturday 20 June, as they took part in the finale celebrations of The Crossing. The shore-side and waterborne activities at Muirtown Basin marked journey’s end for the international flotilla of 16 historic and modern craft, which travelled the length of the Caledonian Canal this week in celebration of the cultural and historic importance of the canal to the Highlands. 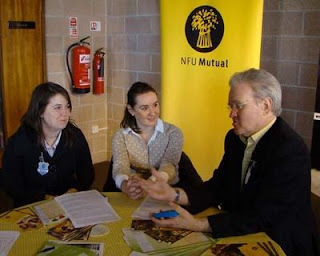 The afternoon event and evening ceilidh at Muirtown Basin followed similar well-attended local shore-side events held during the week at Banavie, near Fort William, and at Fort Augustus. The afternoon event at Muirtown Basin, Inverness, featured a spectacular mix of land and water-based fun. The start and end of proceedings was marked by the landing of an Aviat Huskie amphibious seaplane. Visitors also had the chance to see the impressive Tall Ship, The TS Royalist. Exhibitors at the Food and Drink Produce Fair, sponsored by Scotland Food & Drink, included Orkney Isles Preserves; Real Food; The Isle of Skye Baking Company; Wester Lawrenceton Farm; Berry Good (Scottish vodka with Scottish fruit); Bouvrage (all natural berry juice); Macleod Organics; Cairngorm Brewery and Balliefurth Farm. George McIvor, a fellow and former Chairman of the Master Chefs of Great Britain, also inspired visitors with a programme of chef demonstrations. In addition to street theatre by ‘The Telford Twins’, music by the Caledonian Canal Ceilidh Trail and Gutty Slippers and storytelling by Bob Pegg, waterborne activity included free taster sessions courtesy of the Inverness Sea Scouts, Seagull Trust Cruises and the RYA Scotland ‘Sailing in the City’ initiative for 8-14 year olds. The Sea Scouts and Sea Cadets also took part in a friendly boat race. British Waterways Scotland’s thrilling Waterwalkerz inflatable spheres were also there for those seeking the unusual thrill of ‘walking on water’. An evening ceilidh with the Sensational Jimi Shandrix Experience brought the five day celebratory Crossing event to a toe-tapping conclusion. By the 2080's summer temperatures in Scotland could increase by more than 3ºC if emissions continue at their present rate, according to projections published today. Snowfall could also reduce by 60 per cent or more in the mountains, and might stop completely in other parts of Scotland. These are the key Scottish findings in the new UK Climate Projections 2009 study (UKCP 09) which looks at how the UK climate will change over coming decades.They show the effects of current levels of emissions, and also what would happen if emissions increase or decrease.The data offers greater accuracy and understanding of possible scenarios, however some of the scenarios are extreme and very unlikely to occur. "These predictions demonstrate the need for a global agreement in Copenhagen this December. Climate change is the greatest environmental threat facing the world and if global action isn't taken to reduce emissions then we all face an uncertain future. "However, Scotland is already ahead of the game. We are taking forward the most ambitious and comprehensive climate change legislation anywhere in the world. Our Bill sets a target of reducing Scotland's greenhouse gas emissions by 80 per cent by 2050, including emissions from international aviation and shipping. We need to be sure that we are meeting these challenges by taking effective action now. The Scottish Government has insisted on the inclusion of annual targets, including a tough interim target of at least 34 per cent by 2020, which will rise to at least 42 per cent should as we hope the EU agree to reduce its greenhouse gas emissions by 30 per cent by 2020. And yesterday we published our Delivery Plan setting out how we could achieve these targets. "Scotland is well placed to meet these challenges. Scotland has massive low carbon energy potential and harnessing the energy related opportunities presented by Scotland's natural capital can create tens of thousands of green jobs. These are jobs for the future - jobs in our rapidly expanding renewables industry, in developing and applying clean fossil fuel technology, in energy efficiency and microgeneration. In these challenging economic times we need to play to our strengths and build the low carbon economy of the future. "What these projections also show is that some degree of climate change is unavoidable, as the impacts over the next 30 to 40 years have been determined by our past and present emissions. Therefore, alongside cutting emissions, Scotland needs to find ways to adapt to climate change. That is why we are consulting on the Government's Climate Change Adaptation Framework, which looks at how Scottish society should adapt to living in a changing climate. By planning and preparing for change now, Scotland will be better placed to take advantage of any opportunities and build its resilience to the negative impacts of warmer, wetter winters and hotter, drier summers." The Scottish Government is currently undertaking the second stage of the consultation process on our adaptation framework which closes on July 20, 2009. Banff & Buchan MSP Stewart Stevenson has welcomed the announcement that the Scottish Government is to deliver extensive new investment in Scotland’s schools through the Scottish Futures Trust. Education Secretary Fiona Hyslop has outlined plans to invest £1.25 billion in Scotland’s schools, in order to further reduce the number of pupils in unsuitable school accommodation. The Scottish Government will provide around two thirds of the funding for new secondary schools and half of the funding for new primary schools, making new school construction projects far more affordable for Local Authorities and delivering around 55 additional new schools. “I am delighted at the progress that the Scottish Government has made on delivering even more new schools for people across the country through the Scottish Future’s Trust. “The previous administration promised to renew 100 schools between 2006 and 2009, but the SNP Government has already exceeded this target, with 150 school rebuilding or refurbishment projects completed to date, and over 250 will have been delivered by 2011. This new investment will go even further, funding around 55 brand new schools, thereby providing state of the art facilities for an additional 35,000 pupils across Scotland. “Fiona Hyslop has stated that schools in the most need will be targeted for replacement and as such I strongly encourage Aberdeenshire Council to engage fully with the Scottish Government and COSLA to ensure that pupils here benefit from this new funding. This is a real opportunity to make a lasting change in the state of Banff & Buchan’s school estate and I hope that they will grasp it with both hands. Banff & Buchan MSP Stewart Stevenson has welcomed the strong indications that have emerged from the most recent Fisheries Council in Brussels which suggest that the EU’s fishing ministers are prepared to radically decentralise fisheries policy, as the SNP had called upon them to do. The consultation period on the Green Paper on Common Fisheries Policy (CFP) Reform lasts until the end of 2009, with the EU having until 2012 to draw up a new Policy. “I am delighted that at long last a consensus is beginning to emerge that decentralising fisheries policy is the only sensible way forward when it comes to reforming the CFP. 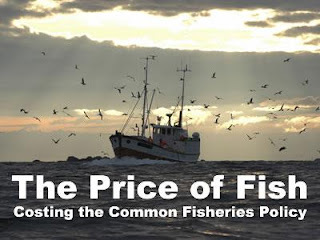 The Common Fisheries Policy has been hugely damaging toBanff & Buchan’s fishing industry and it has singularly failed to reverse declining fish stocks. “Fisheries policy cannot be micromanaged with any success from Brussels. Scotland’s fishermen are those that stand to benefit most from creating a sustainable, profitable fisheries policy in Scotland’s historic fishing grounds and it is they who should be trusted to know how best to manage our waters. A massive increase in clean, green energy and full take up of electric and alternative fuel vehicles is needed to drastically cut emissions by 2050 and transform Scotland into a low carbon economy. The measures are part of the Scottish Government’s Climate Change Delivery Plan, published today, which sets out a vision to meet the world leading Climate Change Bill target to reduce greenhouse gas emissions by 80 per cent by 2050. The plans will also be key to unlocking Scotland’s vast potential in renewables and creating tens of thousands of green jobs. Fewer emissions from agricultural businesses, more woodland planting and appropriate protection for Scotland’s carbon rich soils. “We are today outlining a plan that will transform Scotland to a sustainable, low carbon society. “Scotland will soon have the most far reaching climate change legislation in the world. That must be accompanied by action and our Delivery Plan demands action now, tomorrow, and from future generations and future governments. “Scotland’s role in the global effort to reduce emissions will create clear economic benefits and help maintain a thriving economy. Harnessing the energy related opportunities presented by Scotland's natural capital can create tens of thousands of green jobs as we look to 2050. These are jobs for the future - jobs in our rapidly expanding renewables industry, in developing and applying clean fossil fuel technology, in energy efficiency and microgeneration and in the developing sustainable industry. The Climate Change Bill sets a target to cut emissions by at least 34 per cent by 2020 rising to at least 42 per cent if the EU agrees to reduce its emissions by 30 per cent by 2020. Both targets will be challenging. A global deal in Copenhagen in December will be crucial to delivering the higher target. Increased woodland planting and improved nutrient, soil and livestock management. “The Delivery Plan shows the immense challenges we face in reaching our targets, for 2020 and 2050, but we have already started to take action – we are working on ten energy pledges that are key to reducing emissions and creating green jobs now and for the future. We are investing in public transport, creating new woodlands, pursuing a zero waste policy and next year’s budget will include a carbon assessment of every government policy. Banff & Buchan MSP Stewart Stevenson is maintaining the pressure on the Crown Estate to carry out repairs on the historic pier at Crovie. Mr Stevenson wrote previously to the Chairman and Commissioner of the Crown Estate, Mr Ian Grant, to urge him to authorise repairs and not wait for Aberdeenshire Council to serve an enforcement notice on the Crown Estate compelling them to do so. The Crown Estate has now responded to the suggestion offering to hold talks with Aberdeenshire Council and the MSP with a view to reaching a resolution. “I have been corresponding with the Chairman of the Crown Estate regarding his obligation to maintain the pier, suggesting that it would be to the benefit of community relations and the wellbeing of the pier if work was to be carried out now rather than wait for Aberdeenshire Council to serve a statutory notice on the Crown Estate compelling them to do so. 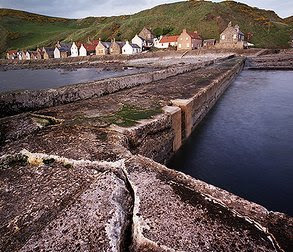 “The Crown Estate has until now steadfastly refused to move from its position that Crovie Pier was nothing whatsoever to do with the Crown Estate as they did not build it and “derive no benefit from it”. “The Crown Estate have now offered to meet with myself and representatives from Aberdeenshire Council to see whether what they refer to as a “pragmatic solution” can be reached, indicating that they may be prepared to contribute to the cost of repairs if other parties are minded to also contribute. Transport Minister Stewart Stevenson yesterday hailed the opening of a new covered walkway at Aberdeen Airport as an example of the investment and commitment of owner BAA. The link connects the Dyce terminal with the aircraft stands and replaces makeshift shelters which passengers complained left them exposed to the elements when boarding and departing flights. It is part of a £5m investment in the airport which has also seen the aircraft stands reconfigured to expand the capacity for handling the latest generation of aircraft. Mr Stevenson, who was joined at the opening by Kevin Brown, the airport's managing director, said: "This investment is testament to BAA's commitment to the airport and shows a determination to see it thrive and expand, a welcome boost to the local economy in these challenging times. "As visitors arrive from across the world to celebrate Homecoming it's important they get a warm welcome and there is no doubt that this year, and for many years to come, visitors travelling through Aberdeen Airport will enjoy these wonderful new facilities." The terminal walkway was conceived as a result of feedback from passengers, a spokeswoman for BAA said. Mr Brown added: "We are aware of the difference this extension will make." "This is an exciting year. Not only are we just about to celebrate our 75th birthday, but we are spending more in these 12 months than we have before. There is no part of our terminal that is not seeing the benefits of our massive spend this year and this walkway is a big part of that." Banff & Buchan MSP Stewart Stevenson has expressed his anger at the determination of Her Majesty’s Revenue & Custom’s to proceed with the closure of their Peterhead office, despite the impact that this will undoubtedly have on the fishing industry based there. “Our fishing industry is of a unique nature when it comes to taxation and customs and there is a clear case for a specialist team to be based at Peterhead to support the industry. “The fact that HMRC has chosen to ignore this case and push ahead with plans to close the office is absolutely incredible. They have clearly given little or no consideration to the arguments put to them and have been determined to push ahead with their destructive plans all along. “This decision is deeply disappointing and I know that the affected staff and their families will be extremely concerned. HMRC have made the wrong decision and there is widespread anger in Peterhead over what they have done”. Wide-ranging proposals to dramatically cut the number of deaths on Scotland's roads were announced today by Transport Minister Stewart Stevenson as he launched a new ten year road safety framework for Scotland. For the first time, Scotland will have its own road safety targets - the toughest in the UK - with new targets to reduce the number of serious injuries on Scotland's roads by half and the number of fatalities by 40 per cent over the next decade. However, the Minister said that these were interim targets, leading to an ultimate vision of a future where there are no road fatalities in Scotland - a philosophy which has proven highly successful in other countries who are at the leading edge of road safety. An expert group has helped shape a raft of new proposals for Scotland which include action to target young drivers, a pilot of high tech devices which restrict vehicle speed to ensure speed limits cannot be exceeded, and examining the case for introducing greater restrictions on newly qualified drivers. Scotland's Road Safety Framework "Go Safe on Scotland's roads - it's everyone's responsibility", also includes calls for changes in legislation - powers currently reserved to Westminster. Mr Stevenson said that where the UK Government will not commit to evidenced changes to legislation at GB level, the powers should be handed over to the Scottish Government to take action. The call comes as the Calman Commission today recommended that some limited powers over drink-drive and speed limits be transferred to Scotland. "Latest statistics show that Scotland has made tremendous progress in reducing fatalities on our roads, with levels currently at their lowest for more than 50 years. "We have exceeded the GB targets set in 1999, but it is clear that far too many families across the country are still suffering the heartache of a loved one being lost. "It is absolutely intolerable that people are still dying on our roads each day, and Scotland needs an ambitious vision in line with other leading countries in road safety. "That is what this framework delivers. "This is a framework for all, there will be flexibility about future initiatives, there will be collaboration with all of Scotland's road safety partners, but above all there will be a united effort to save lives. "This framework delivers distinct and challenging targets for Scotland which can set us on a downward trajectory to achieve a vision of zero road deaths in this country. "We have concentrated on what we can do within our devolved competencies in Scotland in this framework and we will get down to business and deliver, working with road safety partners across Scotland. "From education, to piloting new technology, to taking action on school buses, and setting the toughest road casualty reduction targets in the UK, this is an ambitious framework which will save lives. "However, we have also set out where we want to see legislative change at a Westminster level as I believe this would make a massive impact on reducing casualty rates even further. "We want to see the drink drive limit brought right down. We want to see breath testing of drivers, any time and anywhere. We want to explore tougher restrictions on newly qualified drivers. We want to see much more stringent training and testing with pass plus included in the pre-training process. "But currently, we have no powers to take these actions. "The Westminster Government is currently considering their position on these issues, but there is a unique window of opportunity to make a real impact through legislation. "Road safety transcends constitutional boundaries, it is about saving lives and we will continue to work with our colleagues at Westminster to press the case. "But where the UK Government will not commit to evidenced changes to legislation at GB level, we want to see the powers handed over to the Scottish Government - and we will take action. "This is an ambitious Framework which sets out our vision, our goals; and our commitment to make it happen together. I hope it will galvanise us all to Go Safe on Scotland's roads - it's everyone's responsibility." A pilot of high tech devices which restrict the speed of a vehicle using an onboard computer to ensure that the limit cannot be exceeded (Intelligent Speed Adaptation). Action to improve school bus safety, including the ongoing pilot of latest "SeeMe" bus stop technology, the launch today of new more prominent school bus signs for bus companies, and new guidance to all local authorities on pick up and drop off points. Calls for 20mph zones in built-up areas. New advanced on-board breath test enforcement technology for police vehicles. Examining the case for introducing restrictions on newly qualified drivers such as limiting the number of passengers, engine size, speed and times they drive at through a nationwide debate. New education resources for schools and a new lifelong learning approach to driver training targeting Scots of all ages, including elderly drivers. "The new framework sets the scene for the crucial next decade of crash prevention in Scotland. The key theme of personal responsibility is vitally important as the easy fixes have now all been made. The Government, councils and police simply cannot continue to reduce deaths on Scotland's roads on their own. Road users need to take more responsibility for themselves, and drivers must begin to treat driving as a skill for life. "IAM research highlights Scotland's unique set of road safety issues: a high fatality rate when crashes occur; a disappointing child safety record; problems with new drivers and most importantly very high levels of serious accidents on rural roads. The good news is the new framework recognises all these priorities. "No one using Scotland's roads can avoid their responsibility to keep safe. The IAM looks forward to working with the Scottish Government to provide research and lifelong learning solutions that will help meet the very challenging 2020 road safety targets." "Road Safety Scotland is delighted to see the publication of the Framework, together with targets for 2020. It looks as if Scotland will over-deliver on its contribution to the the 2010 GB targets, and it is good that new and challenging targets have been laid down in the Framework. "Road Safety Scotland looks forward to working with the Scottish Government and other key partners to deliver on the Framework and reduce the number of people killed or injured on our roads." 'I am encouraged to see so much evidence-based policy making informing Scotland's Road Safety Framework. "In particular I welcome the life-long approach to the responsibility of driving without causing harm to others; the interest in developing Driver Awareness Courses for those Scottish drivers caught speeding who, our own research has shown, are twice as likely to be collision-involved and thus in urgent need of help; and the Scottish Government leading by example in introducing advanced driver training for its staff." "Scotland has made tremendous progress on reducing death and injury on Scottish roads over the last 10 years, thanks in large part to the work of the Scottish Government, Road Safety Scotland, local authorities, police forces, fire and rescue services and organisations like RoSPA. "We at RoSPA warmly welcome and strongly support Scotland's Road Safety Framework to 2020 which is a pre-requisite for continuing and strengthening the fight against the avoidable loss of life and limb on Scottish roads. The UK Government is currently consulting on new GB targets of 33 per cent reduction in road deaths, 33 per cent reduction in serious injuries, 50 per cent reduction in child deaths and seriously injured. Scotland's tougher new targets announced today are as above. The Minister is set to be joined by school children from Strathburn Primary School in Inverurie to launch a new more prominent school bus sign for all bus companies, following concerns about the signs. The Minister will also be launching new guidance for all local authorities on pick up and drop off points for school children. The framework proposes that high tech devices which restrict the speed of a vehicle using an onboard computer to ensure that the limit cannot be exceeded be piloted to test their effectiveness in Scotland. There are three types of 'Intelligent Speed Adaptation' devices. Advisory ISA - where the driver is informed of the speed limit and then needs to make a decision on how to adjust his/her behaviour. Voluntary ISA - where the driver is informed of the speed limit and an on-board computer restricts the vehicle's speed to ensure the limit cannot be exceeded. The driver can choose to override the system. Mandatory ISA - where the driver is informed of the speed limit and an on-board computer restricts the vehicle's speed to ensure the limit cannot be exceeded. The driver cannot override the system. Latest statistics show that there were 281 deaths in Scotland in 2007. Local communities along the A96 between Aberdeen and Inverness will benefit from a £3.265 million road improvement package due to get underway this summer. The programme kicks off later this month with works between Cowfords and Marchfield. Further upgrade schemes will also be carried out between the Huntly Roundabout north and Westerton Farm, and between Wittet Drive, Elgin and Oakwood, which are planned for late summer and early autumn. The initial phase will see the much needed reconstruction and resurfacing of almost one mile of carriageway between Cowfords and Marchfield. This part of the programme, worth £964,000, is set to start on Monday 22nd of June for four weeks. Local communities will benefit from the extension and resurfacing of the footpath and cycleway which runs alongside this section of road. Bear Scotland, who is supervising the programme on Transport Scotland’s behalf, will also use this opportunity to carry out drainage works. Stewart Stevenson, Minister for Transport said: “The A96 is a vital link in the north east and this £3 million plus investment demonstrates this Government’s commitment to improving roads in the region. As a Government we are always looking at ways to encourage people out of their cars and onto sustainable forms of travel like walking and cycling which is why we are extending the cycle way and foot path along this route. Projects such as this also provide a vital boost to the construction industry in Scotland, helping our hard pressed construction workers in this challenging economic climate." The A96 is a key trunk road used by over 15,000 vehicles each day. The volume of traffic has lead to general wear and tear, especially as the HGV traffic makes up 12% of the total traffic on this busy route. This programme of essential improvement works will ensure that this section of road continues to operate safely for many years to come. John Murphy, Director, BEAR Scotland said: “The A96 is a well used road, connecting communities throughout the North East of Scotland. We appreciate that this essential work will cause some disruption and wish to thank motorists in advance for their patience. The reconstruction works have been carefully planned, designed and timed in consultation with the Moray Council and Grampian Police to minimise the impact on the travelling public, however some delays are unavoidable due to the volume of traffic on this route. Drivers are encouraged to listen for traffic bulletins and get up-to-the minute travel information by visiting the Traffic Scotland website. The works are being undertaken by Ennstone Thistle and supervised by Bear Scotland. Banff & Buchan MSP Stewart Stevenson has welcomed the announcement that police numbers across Scotland has hit a record high for the fourth consecutive quarter. There are now over 17,000 police officers patrolling Scotland’s streets and making communities safer for people in Scotland. 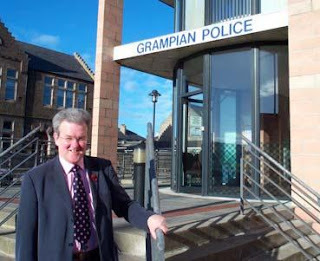 Grampian Police force has seen an increase of 30 police officers in the first quarter of 2009, taking the total force to 1,513 full-time equivalent officers. “The SNP Government promised to deliver 1,000 extra police officers to make our communities safer and we are continuing to do just that. This is the first time that the total number of police officers in Scotland has risen above 17,000 and is another record high. “Since the SNP came to power in 2007, the number of police officers in Grampian has increased by 139 as we continue our efforts to deliver on our promises. A team of experts have been commissioned to produce a fully developed business case for extending high speed rail links between Scotland and England, Transport Minister Stewart Stevenson announced today. The economic evidence will be submitted to High Speed Rail 2 (HS2), the company formed to progress UK high speed links, and will be used to press the case for Scotland. The Minister was speaking at a major conference in Edinburgh today looking at the The Scottish Opportunity for high speed rail links. “Improved journey times could provide significant benefits to Scotland's economy, improving connections and opening up new opportunities. Cutting journey times between Scotland and London to the three hour mark, would offer direct competition with air travel and could result in significant carbon emissions savings. “The formation of this expert stakeholder group will allow us to produce a fully developed business case to advance our argument for high speed rail to be extended to Scotland. “While the Scottish Government supports high speed cross-border rail routes to both Glasgow and Edinburgh, it is vital that any high speed rail network connects with the existing network in Scotland to ensure all parts of the country benefit. “I am determined to ensure Scotland’s voice is heard in this work. “While the first phase of the High Speed Rail project will consider the case for services between London and the Midlands, UK Government transport minister Lord Adonis has asked HS2 to examine the potential for expanding high speed services into Scotland and the north of England." Stewart Stevenson, the Scottish Minister for Transport, Infrastructure & Climate Change will speak on June 6th at a transport and climate change event organised by the Presbytery of Buchan. The event will take place at New Deer St Kane's Church centre from 10am to 3.30pm. Adrian Shaw, Climate Change Project Officer at the Church and Society Council will speak about climate change and transport. There will be small group discussions after each presentation giving participants ample opportunities for reflection. Banff & Buchan MSP Stewart Stevenson has welcomed the news that the UK’s only fertiliser manufacturer, GrowHow, has announced fertiliser prices for July of £175-£178 per tonne on-farm for Nitram. Mr Stevenson had previously called for the Office of Fair Trading (OFT) to investigate the UK fertiliser market following meetings with concerned farmers in his constituency who highlighted a 200 percent increase in profits of fertiliser companies such as Yara. Fertiliser prices peaked at over £400 per tonne at the end of 2008 and today’s announcement puts prices back at 2007 average prices. “Mergers and acquisitions in recent years have left the UK fertiliser market dominated by one or two major players, reducing choice and competition for the customer. “As a result of that and also global factors, fertiliser prices rocketed, putting real pressure on North-east farmers. “This is good news for customers of GrowHow and I recognise the good work done by the NFUS in building a constructive dialogue with the company. Inverness Harbour marked the start of a new chapter in its long history today with the official opening of its North Longman development. Minister for Transport, Infrastructure and Climate Change, Stewart Stevenson MSP, declared the £9 million project open for business and looked forward to further developments which will enhance the waterfront. As a result of work to reclaim ten hectares of land from the existing shoreline at the mouth of the River Ness and extensive dredging of the river, the harbour now boasts an extended freight handling area with lay-down areas able to accommodate larger cargoes, such as wind turbines. A new 150 metre quay wall has been designed to be used with a link span, allowing for the development of a roll-on roll-off service which is planned to start in the autumn. The new quay will also enable small cruise ships carrying up to 300 passengers to visit the port. A container feeder service is also scheduled to begin later this year from Inverness to ports on the east coast of Scotland and England and across to the east coast of Scandinavia and the continent. “The harbour development is a real boost for Inverness and the Highlands, particularly in these challenging economic times and I’m delighted to be here to open it. “The Scottish Government' has invested £2.3 million of freight funding in this project to see freight transferred by sea which would otherwise have been transported by road to destinations across the UK. This will help ease congestion in the North East and reduce damage to the environment. "The Scottish Government has the most ambitious and comprehensive climate change legislation anywhere in the world and Projects such as this will make an important contribution to achieving our world leading targets. Inverness Harbour Trust Chief Executive Murdo MacLeod said: “We are delighted with the work done to extend and improve the harbour area. Chairman of Inverness Harbour Trust Rod Michie said: “Inverness has a long and successful history as a busy port and this new development will help the harbour go from strength to strength. “As well as regenerating the harbour area, our new facilities will benefit the environment and help tackle congestion on our roads by moving freight from road to sea and reducing carbon emissions. It is projected that increasing the amount of container freight through the harbour could lead to a road mileage saving of 800,000 miles per year. Ships have been using Inverness Harbour for more than 2,000 years. One of Scotland’s most sheltered deep water harbours, it handles cargoes from Scandinavia, the Baltic States, the EU and the Mediterranean. Freight handled by the port currently includes fuel oils, timber, coal, grain, animal feed and salt. Local communities in and around Carrbridge will gain real benefits from a £2.7 million improvement package to ease congestion and improve safety, Transport Minister Stewart Stevenson said today. This significant maintenance scheme, which lasted 12 weeks, involved constructing a new northbound overtaking lane, along the Carrbridge stretch of the A9. “By providing overtaking lanes this scheme will help relieve local congestion as well as improving safety for drivers. “This project is one of a number of key investments we are taking forward as we invest progressively in the A9 on a continuing basis, leading to a dualling the A9 between Perth and Inverness. Projects like this give a vital boost to the construction industry in Scotland, helping our hard pressed construction workers in this challenging economic climate." This section of trunk road provides a key link to the north of Scotland, carrying around 7,500 vehicles a day. Transport Scotland and Scotland TranServ worked closely together to minimise the impact on traffic.